All Fees will be paid to DI HQ when you order program materials. Teams do not have to be associated to a school district to participate in NE DI. You can register the team as “Independent” and all other rules apply. in one step to DI HQ–click below! CLICK BELOW FOR THE SAME STEP BY STEP INSTRUCTIONS AS LAST YEAR FROM DI HQ! You must do this BEFORE advancing to STEP 2: Registering your Team Member Information and Appraisers(s) on Registeryourteam.org for NEDI Registration. THANKS! Questions on Step 1? Contact Destination Imagination HQ at: askdi@dihq.org or 856-881-1603 x 116 for help! Each school coordinator will be required to login to DI Resources page and add your team manager names. 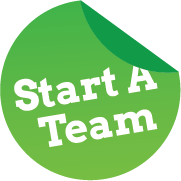 Once this is completed, your team managers can log into the registration website with their credentials from DI HQ and accept the team manager Code of Conduct and also enter the team information: team members name, grade and age. By adding the team member info, a link is also generated that is emailed to the parents/guardians. When the parent clicks on the link, they can list any health concerns, allergies, etc. This step is imperative to keeping our kids safe. ***Remember–this step requires parent response so please do not wait to get your team completed. *** Appraiser information will also be required to be input, and a link is generated by team managers/coordinators on the website so appraisers will also login to enter information and accept the code of conduct. We have implemented this new registration feature to allow teams to be formed and finalized as the season evolves. There are NO Affiliate Fees for Rising Stars teams. However, Rising Star teams DO have to register on registeryourteam.org to perform at their Regional Tournament. An appraiser is not required for Rising Star teams so simply use your team managers name if prompted for an appraiser on your registration to bypass that field. The team manager will not be included in the appraiser pool. Nebraska DI and Rising Stars Registered Teams are not eligible for refunds or cancellations. Nebraska DI requires each team to provide a minimum of (1) Appraiser to serve at their Regional Tournament and if the team advances, Affiliate Finals. Appraisers must complete mandatory training each year. It is highly recommended that each team also have one secondary appraiser, trained and registered for each team. This will ensure the team will not incur any penalties if your primary appraiser is unable to attend either tournament. It is the responsibility of the Team Manager to recruit a volunteer to serve as an appraiser for each team they manage. Choose carefully as your Appraiser will not be allowed to leave their assigned post to watch any performances throughout the tournament day. Appraiser must be able to turn off cell phone during performances–please do not recruit anyone that would be “on call” for their employment. They are not allowed to leave during performances to ensure scoring consistency. If your team advances from the Regional Tournament to Affiliate Finals, your Appraiser MUST be able to Appraise at the University of Nebraska-Kearney as well. AFFILIATE FINALS IS APRIL 6, 2019 IN KEARNEY, NEBRASKA. No exceptions! The Appraiser (and Secondary Appraiser) must be finalized and registered by January 15, 2019 on registeryourteam.org, NO changes after this date will be allowed. After registration is closed and the Appraiser(s) are finalized, they will receive an email within 7-10 days with a link to Verified Volunteers. This application must be submitted and pass the certification process before acceptance is guaranteed to participate in any NE DI Tournament. Mandatory Face to Face Appraiser training will be held in each region after January 15 and prior to the Regional Tournament and Online Training will be required. All Training will be announced on the website and our Facebook page. If your primary and secondary Appraiser is unable to attend Mandatory training or complete online training, they will not be certified to Appraise at either Tournament. If a team does not provide the trained/registered/certified primary Appraiser or their trained/registered secondary appraiser at their Regional Tournament, the team will be assessed a 50 point deduction on their overall scores. No Exceptions! If a team does not provide the trained/registered/certified primary Appraiser or their trained/registered secondary appraiser at Affiliate Finals, the team will be assessed a 50 point deduction on their overall score. No exceptions! Please choose your appraiser(s) carefully; make sure they understand the appraiser is directly responsible for impacting the team if they don’t show up! We have had to take these steps to ensure we can properly staff our tournaments and ensure scoring is fair and equitable. Appraisers will be given an official badge to wear at Regional Tournaments and if the team advances, to Affiliate Finals. Badges must be worn at all times and be visible to adhere to the Child Protection Policy. Team Appraisers do not appraise at Destination Imagination Global Finals. Rising Star teams are not required to provide a team appraiser.